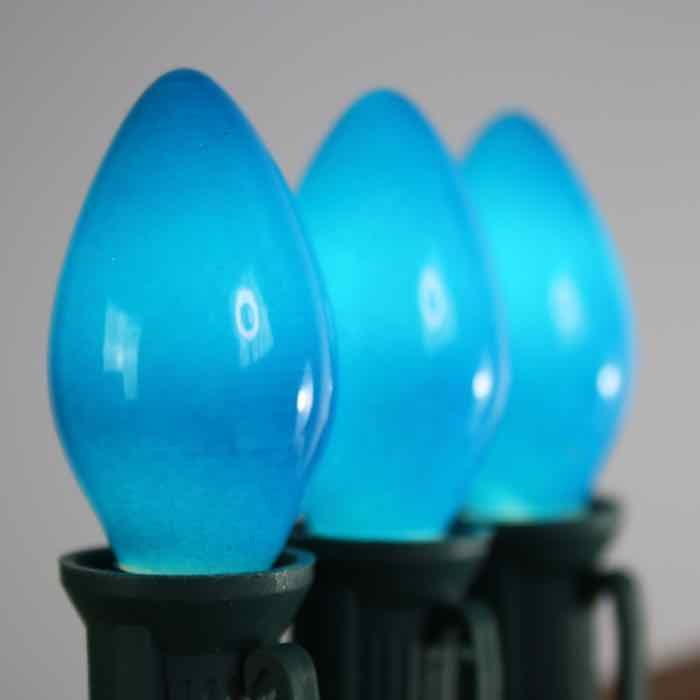 Vintage bulbs take us back into time to nostalgic Christmas memories. Trekking into the woods and chopping down a Christmas tree? 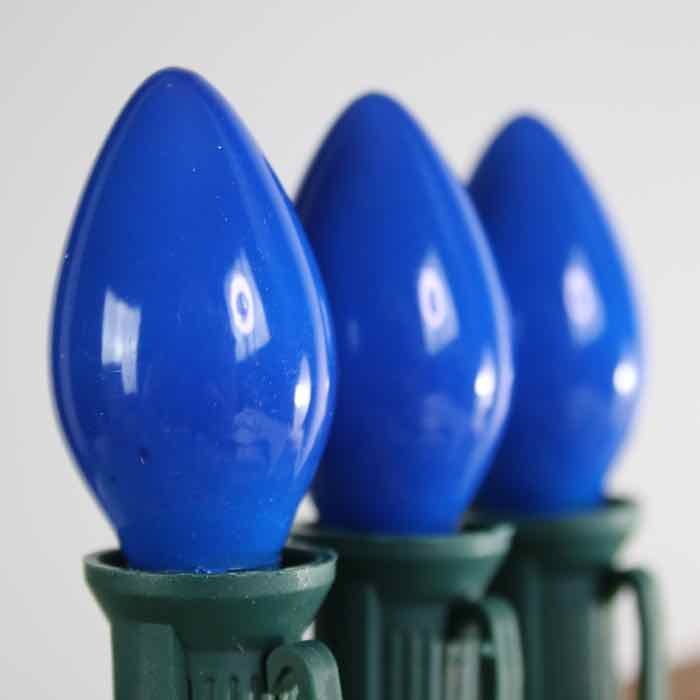 Remember those painted Christmas bulbs you couldn't wait to see installed? With our opaque C7 light bulbs, you can recreate those fond days of years ago. These Christmas lights, which come in multiples of 25 bulbs, are ideal for brightening up both natural and artificial greenery. Use them as a single color or consider combining them with other colors for a Christmas tree that suits your personal tastes. When installed in your C7/E12 cord, either one that's on hand or purchased separately, they can be used in multiple ways in both indoor and outdoor applications. These lights can create a showplace of your home when used in lining rooftops, sidewalks, and porches.